Bartimaeus is a djinni who has been around for thousands of years. He even spent time in Ancient Egypt, a culture that he seems to have some slight fondness for. However, when he’s called this time, his Master is an eleven year old apprentice with revenge on his mind. I loved how this story was primarily written from the point of view of Bartimaeus. Although this book is for children/young adults, Nathaniel, the boy, is the secondary character, and our initial image of him is less than flattering, as we’re seeing it through Bartimaeus’s eyes. This book was a lot of fun to read. Bartimaeus is an interesting characters, and although he doesn’t have a very high opinion of humans (with good reason) you quickly see why he doesn’t care much for humans. After all, being enslaved and forced to do another’s bidding would hardly make you think well of a group. Although this is a young adult book, the writing doesn’t feel like a children’s book—in fact the only thing that feels like a kids’ book is the fact that Nathaniel is eleven years old—so adults should enjoy this book, despite it’s young adult/child classification. 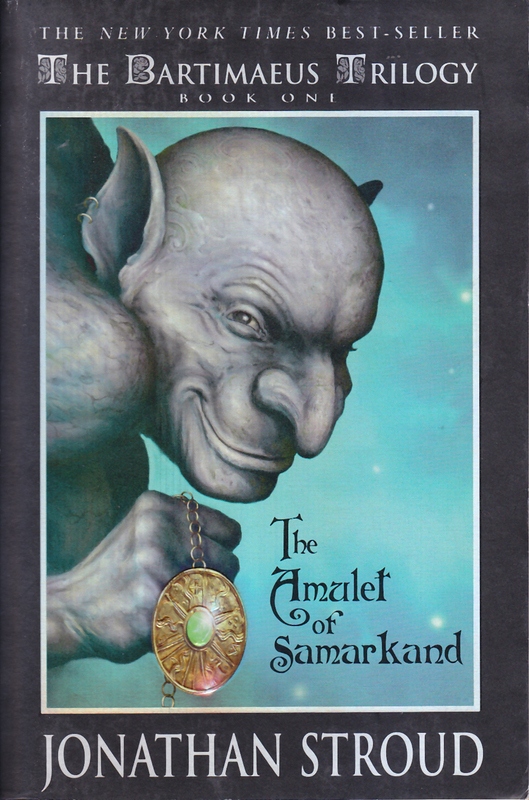 If you like fantasy, then I highly recommend The Amulet of Samarkand. I’ve already ordered the second book in the series, and can’t wait to read it. The second book in the Bartimaeus Trilogy starts two years after the end of The Amulet of Samarkand. Nathaniel/John Mandrake has been the apprentice of Jessica Whitwell, and has become a member of the Department of Internal Affairs, and put in charge of learning about and stopping the Resistance. We also come back to Kitty, who in The Amulet of Samarkand stole Nathaniel's scrying glass, and attempted to take the The Amulet of Samarkand from Bartimaeus. We discover her position in the Resistance and how she came to join the Resistance in the first place. And of course there is Bartimaeus. We don't spend quite as much time with him as we did in the first book, because the story is now split between more characters than Bartimaeus and Nathaniel, but I do enjoy his opinions and ideas and his view of things. As I finished this book, I realized that The Golem's Eye was in many ways what I wished the Star Wars prequels had been. You see the path Nathaniel is taking, and keep hoping that he'll see the light and change, but you also see and understand the forces that are driving him in that direction. You don't like it, but you see why it's happening. Unlike the first book, the second book finishes its story arc; however, it is very obvious that there is going to be another book. Although Nathaniel seems to have made his choice as to the kind of magician and person he is going to be, there is still a hope that he might go in a separate direction. Which is part of what made this book less enjoyable for me--the fact that I really don't like Nathaniel--or more rightly John Mandrake--very much. Luckily, Bartimaeus is still amusing and fascinating, and the more we learn about Kitty, the more I come to like her. 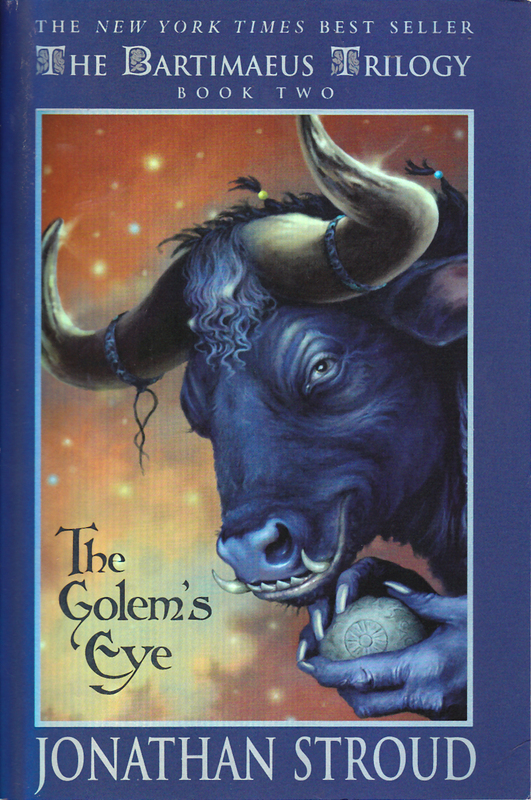 if you have read The Amulet of Samarkand, then you will definitely want to read The Golem's Eye. Now I'm just waiting for the third book. The final book of the Bartimaeus trilogy, in Ptolemy’s Gate Bartimaeus and Nathaniel discover the conspiracy that has been plotting to overthrow the government. We also discover what Kitty Jones has been doing since we last saw her. John Mandrake may have risen in the government, but Kitty has been struggling to keep things together. We also (finally!) get to learn more about Ptolemy. The Egyptian boy whose form Bartimaeus often takes when maneuvering through the world. I'd learned enough bits and pieces over the past two books to become very curious, so I was delighted that we actually got to spend time with him, and learn about his past. I'm going to say something that you'll almost never hear me say--so feel free to gloat and laugh. I think that the Bartimaeus Trilogy would make a great series of movies. The descriptions of the action and the transformations that Bartimaeus makes would be absolutely fantastic and amazing with good CGI. V jnfa'g ernyyl fher gung V oryvrirq Angunavry'f pbairefvba. V ernq vg, ohg V xrcg jnvgvat sbe uvz gb ghea onpx ntnva gb uvf qevir sbe cbjre naq pbageby. Ng gur raq bs gur frpbaq obbx ur jnf, gb nyy vagragf naq checbfrf, ab ybatre Angunavry, ohg unq pbzcyrgryl orpbzr Wbua Znaqenxr. V fhccbfr gur nafjre vf gung ur jnfa'g nf sne tbar ng gur raq bs obbx 2 nf V gubhtu ur jnf, juvpu vf jul vg qvqa'g gnxr nf zhpu nf V rkcrpgrq sbe uvz gb frr gur reebe bs uvf jnlf, fb gb fcrnx. Qba'g trg zr jebat, V'z tynq sbe gur snpg gung ur ghearq onpx sebz uvf cngu bs cbjre, ohg hayvxr Xvggl, V unq n uneq gvzr gehfgvat gur punatr. Cebonoyl orpnhfr bs Angunavry'f gerngzrag bs Onegvznrhf. Fher Angunavry fnirq uvf yvsr ol qvfzvffvat uvz jura ur jnf nyzbfg qrnq, ohg vg jnf Angunavry'f snhyg Onegvznrhf jnf gung jrnx va gur svefg cynpr. Naljnl, V jnf qryvtugrq ol gur erarjny bs gur onagre orgjrra gur gjb, naq nf nyjnlf, jnf tynq gung Angunavry tbg gb erqrrz uvzfrys. 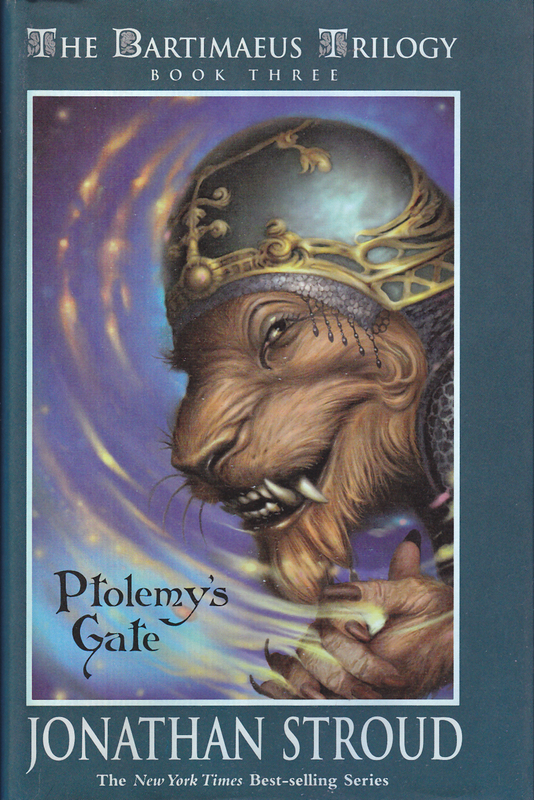 So, I enjoyed Ptolemy's Gate and the rest of the Bartimaeus Trilogy. Although this is a Kid's/Young Adult book, aside from the lack of curing and naughty bits, it neither felt nor read like a Kid's book, and I definitely recommend it for children, as well as for adults who like fantasy.